mean ol' meany: My Alma Mater Blows! 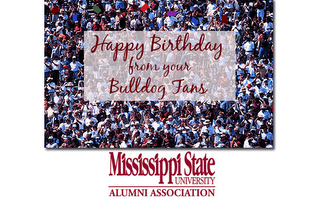 Uh, thanks there, Mississippi State, but my birthday was Sunday the ninth. Today is the eleventh. You know, we were getting along just fine without you wishing me this Happy Birthday two damn days late. Jerks, see if you get a Christmas card. Oh, and why don't y'all give me a call during Happy Hour and beg for money? Again.